Rod Frazer outside Caman House. This month saw the 125th anniversary of the establishment of the Camanachd Association. On October 10 1893, in the Victoria Hall in Kingussie, representatives of various shinty clubs throughout the country met “for the purpose of forming a Camanachd Association”. This Saturday, October 20, is another big diary date for fans of the game as the Marine Harvest Shinty/Hurling Scotland v Ireland International takes place in the Bught Park, Inverness. Senior male and female teams will be heading to the Highland capital for a festival of shinty, a sport that’s unique to Scotland and one of the oldest games in the world. Rod Frazer, who grew up in Newtonmore, is an established ski instructor, but is also a big fan of shinty and played the sport from a young age. His passion for shinty has been extended to one of the four properties he and his wife Dianne own and run as a holiday let. 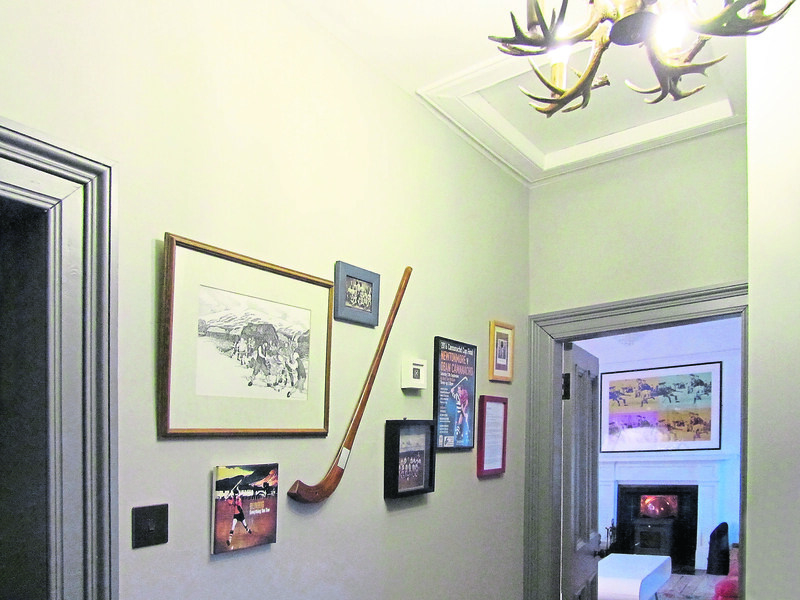 For Caman House, Apartment Two, in Newtonmore, has a shinty theme. 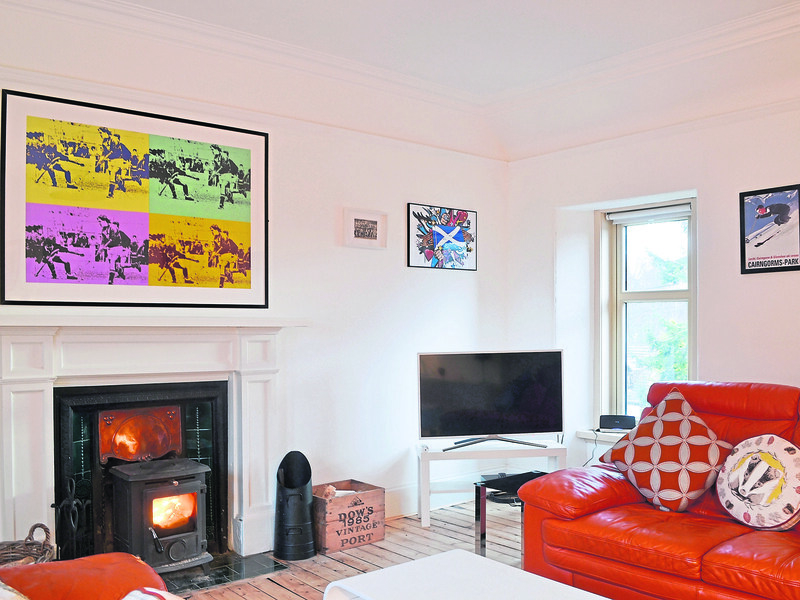 Inside the two-bedroom property, which is in the heart of the Cairngorms National Park, there’s lots of paintings depicting shinty, along with a wall dedicated to memorabilia from the sport and a Caman stick. 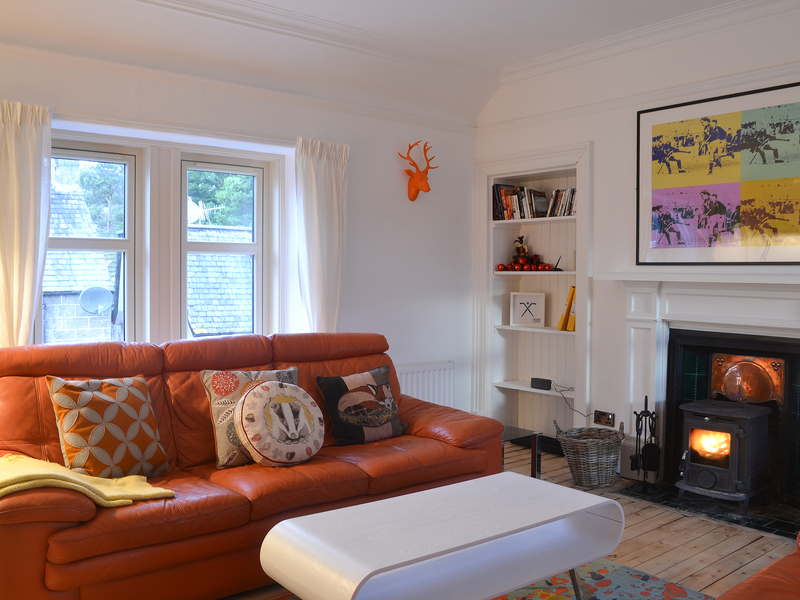 Rod converted the derelict building, which dates back to Victorian times, into two apartments. With the property formerly a baker’s shop, he and Dianne were keen to incorporate its heritage into the renovation of the building. Rod said: “When we purchased the building, we were keen to celebrate its Scottish roots and being fans of Shinty, we thought what better way than basing it on the sport. “It’s also in recognition of the achievements of our local team Newtonmore, who have dominated the sport on and off for the last 100 years. “My passion for Shinty dates back to primary school age where I first got involved with the sport and I have been playing on and off ever since. The husband and wife team, who previously divided their time between Newtonmore and the French Alps, have ambitious plans for the business after returning to the village full-time earlier this year. 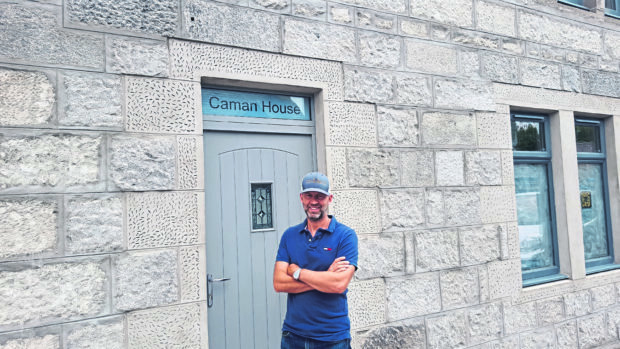 “It is only with the purchase of Caman House that we were able to finally put down roots in the village full-time and move back,” said Rod. He also said it felt like a natural choice to go with cottages.com as it is title sponsor of Shinty’s MacTavish Cup. Caman House retains many of the features of the 100-year-old property, which was built from granite, including beautiful original fireplaces, coupled with a stylish interior. 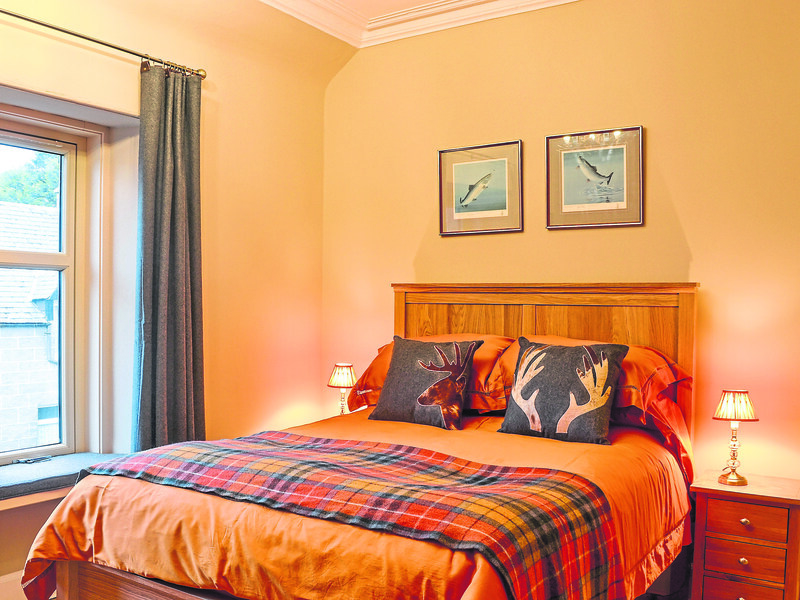 Other holiday lets created by Rod in the area include The Byre; Baltinna East and Baltinna West. Where Stags Roar has also been nominated for a prestigious tourism award.